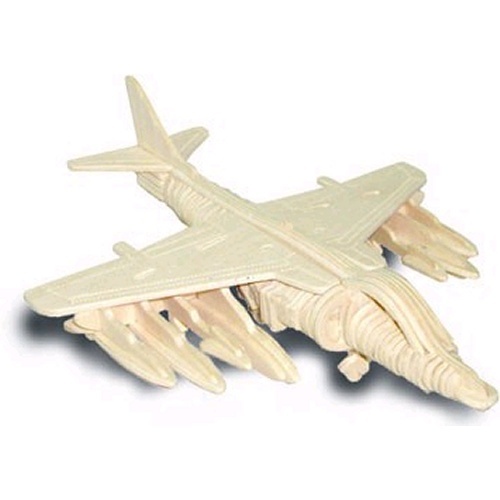 Build your own model of a GR7 Harrier with this wooden construction kit. Woodcraft construction kit consists of pre cut plywood sheets that are assembled by slotting the individual pieces together. Instructions are included showing numbered order of construction. These kits have great educational value as well as giving you a great model as an end result.